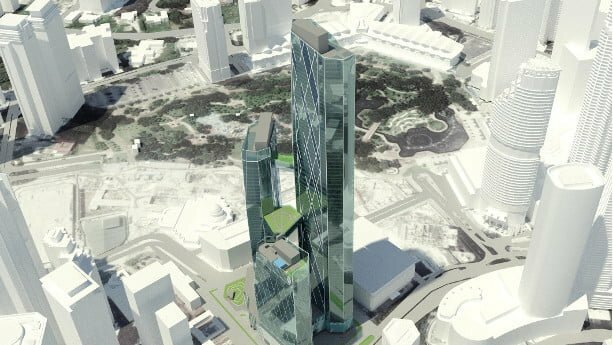 Today, we’ll have a look at a truly interesting mixed-use project, Oxley Towers KLCC, to be completed in Kuala Lumpur in 2023. 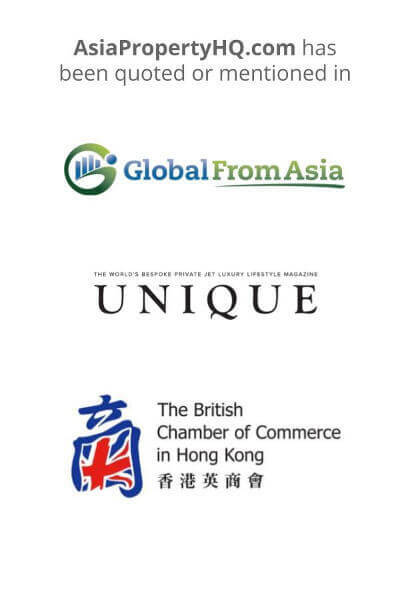 Huttons Asia has sponsored this article and their agent, CS Tee, will help us to understand more about the project details, how it works when buying a unit or two in this project, what the benefits are, and more. Tee, Kuala Lumpur and especially KLCC are prime destinations in Asia. Can you tell us a bit more about this project and what makes it so unique? Yes, sure. First of all, Oxley Towers KLCC was awarded “the Best Mixed-use Development Malaysia” (by Asia Pacific Property Awards Development 2018-2019), which kind of speaks for itself. 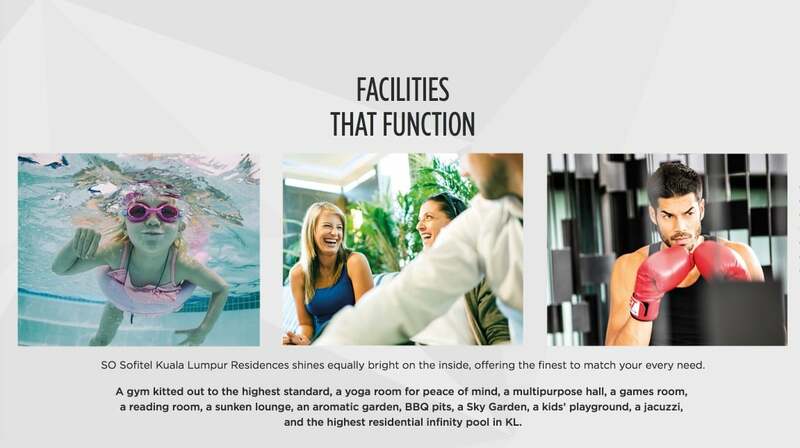 It’s a freehold mixed-use development located along Jalan Ampang, Kuala Lumpur City Centre, and very close to the iconic Petronas Twin Tower and the Kuala Lumpur Convention Centre. 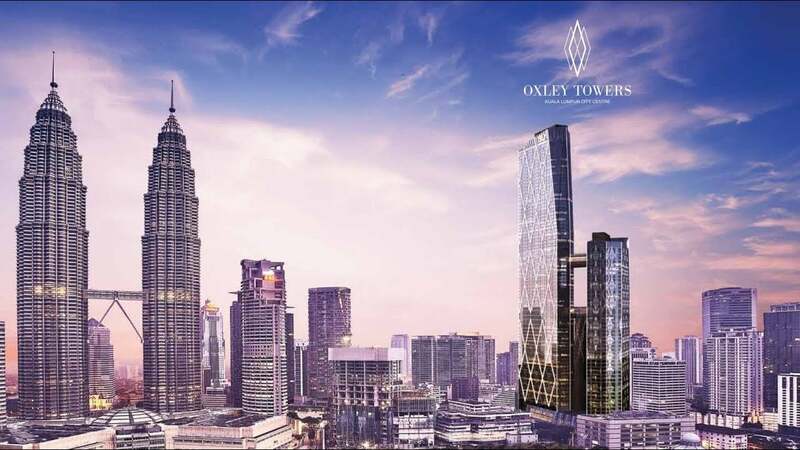 Not to forget, Oxley Towers Kuala Lumpur City Centre is set to be the next iconic skyline in KL Malaysia, as it features magnificent and modern towers having some of the best names in the world for services, retail and hospitality. It has a two-storey retail galleria; a 29-storey strata office block; the 78-storey So Sofitel luxury hotel and serviced residences; the 49-storey Jumeirah luxury hotel and serviced residences. For nightlife lovers, Zouk Club is just a stone’s throw away from the property. The area also hosts many embassies, like the Royal Danish Embassy, the Royal Swedish Embassy, Embassy of the Kingdom of Morocco, French Embassy, and more. You’ll be able to reach elite schools like Sayfol International School, Institut Kojadi, PNB Investment Institute, and more, nearby. Oxley Towers KLCC will have one tall office tower, a Jumeirah Hotel with serviced apartments, and SO Sofitel Hotel with serviced apartments. What are the differences between Jumeirah and So Sofitel? First of all, Jumeirah and SO Sofitel are both the world’s renowned 5 stars hotel operators. Jumeirah is an international luxury hotel chain based in Dubai and it will make its market debut in Kuala Lumpur here at Oxley Towers. Jumeirah is famous for offering super luxury hotels and probably you’ve heard about the palm-shaped island in Dubai, Palm Jumeirah. 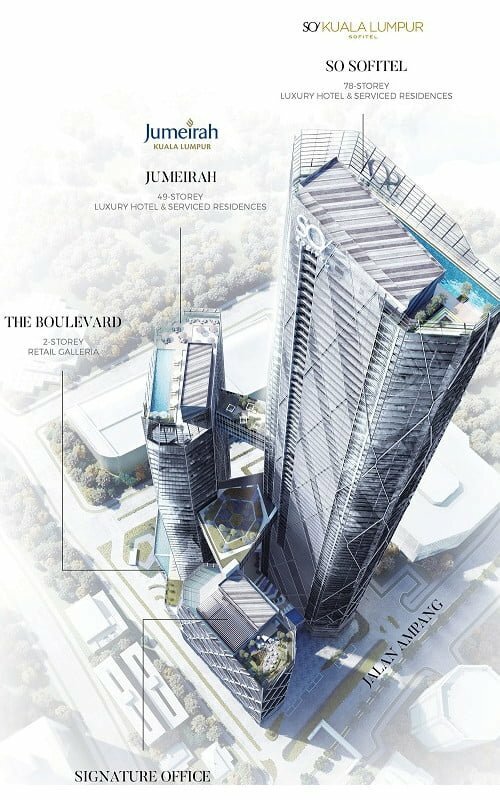 In KL, Jumeirah Living Residences, you’ll find 267 apartments and 181 hotel rooms in 49 storeys. SO Sofitel is AccorHotels’ lifestyle brand, they have more than 4,100 hotels, resorts and residences in the world, at the moment we do this interview. SO Sofitel will be the tallest building in the project having 78 storeys, 590 apartments and 207 hotel rooms. The 590 apartments will be the world’s 1st SO Sofitel branded residences! 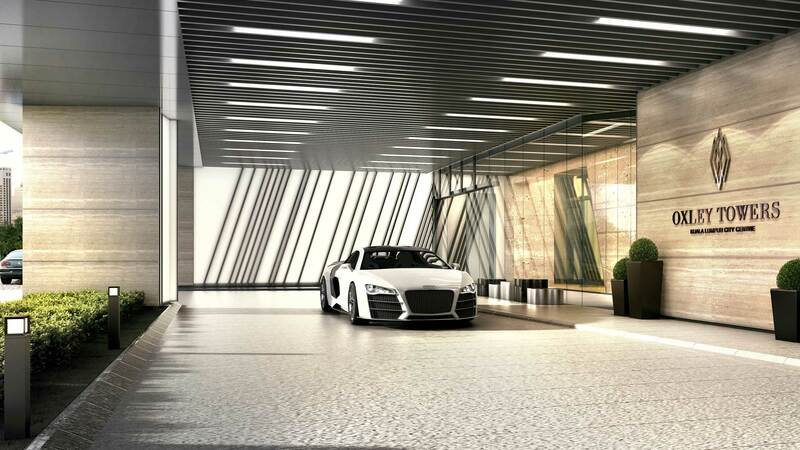 Residents and hotel guests will be able to experience a true luxury lifestyle at this 5 star establishment. For limited time offers, the owner of SO Sofitel Residences will be given the Le Club AccorHotels Platinum Membership, where the Platinum Loyalty Card gives you access to a range of exclusive benefits and privileges at AccorHotels brands, including Raffles, Fairmont, Swissotel, Novotel, Ibis etc. How’s the buying process if foreigners decide to purchase residential or commercial units in Oxley Towers KLCC? The commercial spaces are not for sales at this moment, only the SO Sofitel Residences are open for sales. We’re currently in Phase 1 (levels 22 to 50th) where investors can still buy at the entry price of RM2200~2500 psf (around USD 540 ~ 610), compared to the current market price of RM3000~3600 psf (around USD 730 ~ 880), i.e a 30% discounted price from the market value. The unit booking/reservation fee is RM10,000 (around USD 2,440), then buyers need to sign the Sales & Purchase Agreement within 21 Days from Booking date and pay 10%. Thereafter, the payment will follow the standard progressive payment schedule according to construction stages. The development is expected to complete in the year 2023. Buyers can also seek for bank loan financing from Malaysia banks. Foreigner is eligible for bank loan up to 70% of purchase price, subjected to approval. How high are the rental yields around KLCC? The rental yields for luxury condominiums in KLCC’s Prime area (within 300m from Petronas Twin Towers) average at RM8 – RM12.00 psf, which equals to 3%, compared to 4~5% in the outskirts. However, the value proposition of luxury developments in prime locations is always the potential for capital appreciation. 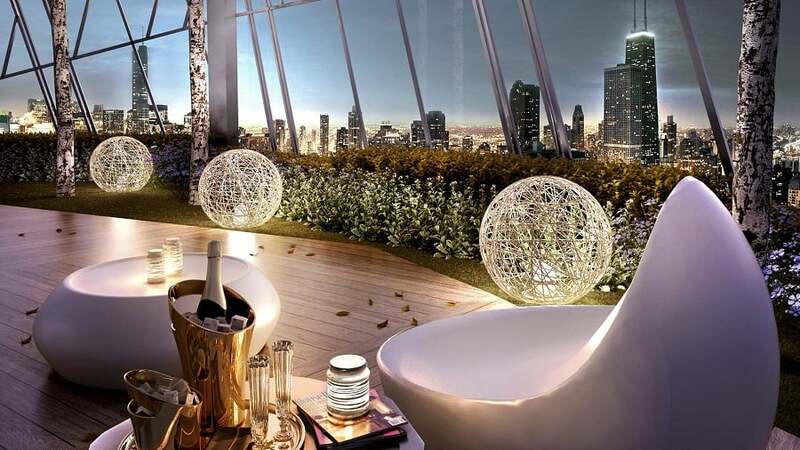 A luxury branded residences around the world had an average uplift of over 30% compared with non-branded schemes, according to Knight Frank’s research. Looking around the existing condominiums around the KLCC Twin Towers, many are big (>1000 sqft), which results in monthly rentals that can easily reach above RM10,000 (USD 2,440) even for a studio/ 1BR apartment. 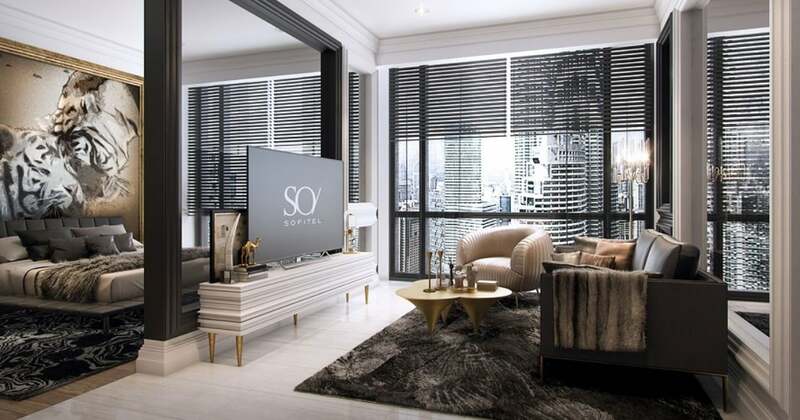 The typical studio to 2 Bedroom units in SO Sofitel Residences size range from 566 sqft to 996 sqft. These are well fit to cater the needs of many expats working in KLCC’s central business district. They often don’t need big apartments, these units are spacious enough to live in comfortably at a rental of less than RM10,000 per month. I’ve heard that the area around KLCC will grow much in the coming years. Can you tell us more about the current plans and how this will benefit buyers? Bloomberg’s recent analysis of emerging markets in the world has ranked Malaysia in the top of the list. Given the changes in government after The 14th General Election (GE14), Malaysia has given hopes for a better tomorrow, especially in the property market, after a steady downward trend since 2012. There are a few cost-intensive projects that are currently put on hold due to the new government’s enforcements, to ensure a sustainable growth of Malaysia. One of the projects include the High Speed Rail (HSR) Project between Singapore-KL that has been been deferred for 2 years till 2020. However, there are still many others catalyst projects ongoing that will benefit the buyers of Oxley Towers. The new MRT Sungai Buloh–Serdang–Putrajaya line (MRT SSP or MRT 2) will be part of the larger rail transport system in Kuala Lumpur. This new MRT line will be intersected with all the existing metro lines. Once the MRT get off the ground and in operation by 2022, it will become a new catalyst for the industry. SO Sofitel Residences, which is expected to be completed in 2023, is also just a 5 mins stroll away to one of the MRT 2 station AMPANG PARK (SSP16). With improved connectivity, this will further enhance the value of SO Sofitel Residences @Oxley Towers. .
For those who have been waiting for a good time to enter the market, this is probably the best time you have been waiting for. Of course, no one can tell for sure, but all signs point to an improved situation in the near future. 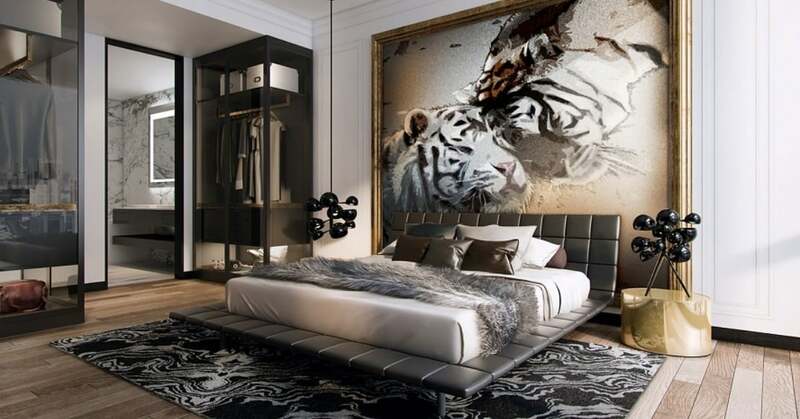 Below you’ll find additional information about the units, amenities, and the developer. Oxley Holdings Limited is a renowned developer based in Singapore. Not only have they completed projects in Cambodia, but in Singapore, UK, Ireland, Malaysia, China, Australia, and much more. You can read more about Oxley Towers KLCC on Oxley’s website (see link above), where they include more pictures and information about the project.